Wood Edging gives the appearance of an authentic solid wood finish to table tops, worktops, cabinets and shelving. A great way to cover the exposed edge of Veneered MDF boards and other panels. Available in several wood species and un-glued. 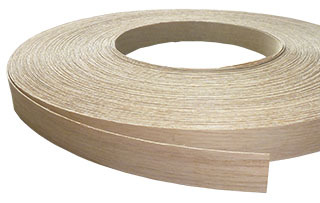 All of our wood edgings are Furniture Grade suitable for Cabinet Making and Joinery.